After significant declines during the fourth quarter of 2018, TSP funds rebounded during the first three months of this year. Patience has its reward, according to Washington, D.C.-area financial planner Arthur Stein. Many of his clients are retired feds. Several of them are TSP millionaires who did it by long-term investing without reacting to the market’s ups and downs. On this episode, he explains how a "safe" investment could be a higher risk in the long-term. The Your Turn radio show airs at 10 a.m. EST on 1500 AM in the Washington, D.C. area and www.federalnewsnetwork.com. Temporary shutdown shut down temporarily — now what? Is your TSP account shrinking? According to the experts December is on target to have its worst month since 1931. The erratic, some would say more normal performance of the market this year has made lots of investors nervous — particularly those trying to build nest eggs that will last them through a retirement, potentially 20 or 30 years. Financial planner Arthur Stein shares his review of TSP funds this year, and what participants should look for in 2019. Shutdown game of chicken: What’s in a word? If you don’t change plans you will remain in your current plan which, if benefits change or premiums go up big time, could be a mistake. Walt Francis, a federal health plan expert, joined Federal News Network's Mike Causey on Your Turn to help you through open season. This week on Your Turn, estate planner and tax lawyer Thomas O'Rourke joins host Mike Causey to discuss what you can do to maximize the amount of money you have in your retirement accounts. Leaving Uncle Sam, especially after a lengthy career at a good salary, can be very rewarding and sometimes a bit tricky, too. If you can’t stand your boss, have nothing in common with your coworkers or hate your commute or your job, it’s a no-brainer — leave ASAP. But if you are like most people, the best time to retire is worth checking out, especially when you figure you might be retired for decades — maybe longer longer than you worked. After deciding which year you are going to retire the next question is when are the best dates: Dec. 31 and Jan. 1-3 are most popular, but why? On this episode of Your Turn we’ll be talking with popular benefits expert Tammy Flanagan about the best dates to retire, and why they are the best. She’ll take a look at the pros and cons of CSRS versus FERS, and how to make the most of your plan. Washington, D.C. area financial planner Arthur Stein joins host Mike Causey on this week's Your Turn discuss how volatility in the U.S. stock market is affecting federal workers' TSP accounts, and whether feds should head for the ‘safety’ of the Treasury securities fund, or stay the course. The Carter administration’s Civil Service Reform Act is turning 40 this Saturday. So how is the 40-year old reform working out in an era of draining the bureaucratic swamp? Federal pay raise & government shutdown: What are the odds? 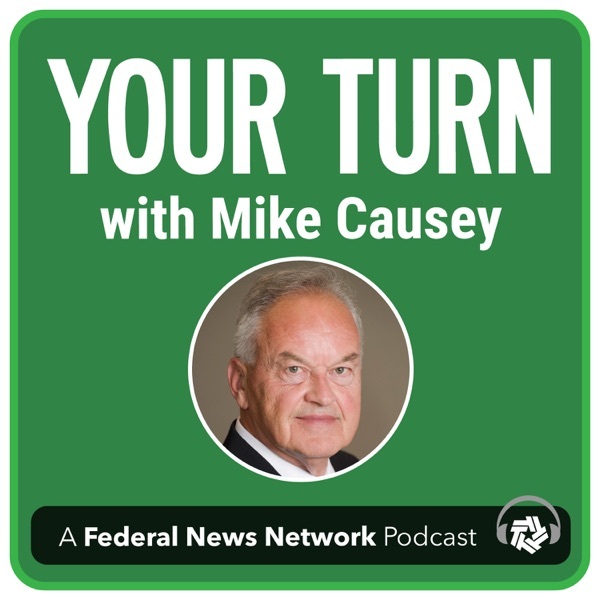 This week on Your Turn, host Mike Causey will be joined by Federal News Radio reporter Nicole Ogrysko who brings us up to speed on what has to happen for Congress to approve a 1.9 percent January pay raise for most white collar feds in 2019. Executive Editor Jason Miller also joins to show to discuss Trump administration plans to "re-skill" and "up-skill" what it sees as an aging, tech-challenged workforce and what it might mean for you, your job and your boss. Is there a pay raise in your future? This week on Your Turn, host Mike Causey talks with Federal Managers Association President Renee Johnson and FMA Government and Public Affairs Director Greg Stanford about where we are, what needs to happen to secure the pay raise. Johnson, of the Naval Air Systems Command’s Fleet Readiness Center-East in Cherry Point, North Carolina, has been a fed for 25 years. Stanford covers Capitol Hill. Later in the show, Mike and his guests discuss what's needed to block proposals eliminating future cost of living raises for FERS retirees while charging FERS workers 6 percent more for their reduced benefits. The Trump administration wants to cut costs in the giant Federal Employees Retirement System by totally eliminating future COLAs for FERS retirees. If it becomes law the 2019 COLA — assuming there is one — would be the last. Workers under the FERS plan would be required to increase their contributions to the FERS program by one percentage point a year for six years. That would mean a 6 percent cut in take-home pay, if it happens. The National Active and Retired Federal Employees Association or NARFE is part of a coalition of federal-postal unions and management groups dedicated to protecting benefits, including the retirement plan, from cuts. So what are the odds they can do it again this year? And what about the odds of a 1.9 percent January federal pay raise? Jessica Klement and John Hatton with NARFE's legislative advocacy department, answer those questions on this week's Your Turn radio show. Your Turn airs at 10 AM ET in the Washington D.C. area. Stein is today's guest on this episode of the Your Turn radio show. He talks about bull and bear markets, and what people should and should not be doing when investing for the long haul. He discusses when playing it “safe” can actually be dangerous to your long-term financial health. Your Turn airs at 10 a.m. EDT on 1500 AM in the Washington D.C. area. Are you close to being a TSP millionaire? Thanks to steady investing, a growing number of feds and federal couples now have 401(k) balances exceeding $1 million. The vast majority did it the hard way. They started investing from day one, maxed out their contributions and rode out the market in good and bad times. So do you have an estate plan? Tom O'Rourke, a Washington area estate and tax attorney and principal at Miles & Stockbridge, answered questions on this week's Your Turn with Mike Causey. Financial planner Arthur Stein, who has many clients who are Thrift Savings Plan investors, even several TSP millionaires. He offers his insight on how to get the most out of your TSP. Federal News Radio reporters Nicole Ogrysko and Jory Heckman join host Mike Causey on this week's Your Turn to discuss what’s happening and not happening with pay, shutdowns and appropriations on Capitol Hill. Thanks to the Federal Employees Retirement System, the Civil Service Retirement System and Social Security retirement programs many people will have guaranteed lifetime payments worth $1 million to $2 million. And that is in addition to their investments in the Thrift Savings Plan. Tom O’Rourke, a Washington area attorney whose practice is limited to estates, trusts, tax and federal pension matters, said most active and retired feds are worth more than they think, “especially if you are entitled to receive a lifetime annuity at retirement.” On this episode, O’Rourke talks about what feds and their survivors should be doing to maximize their cash benefits. These include things such as wills, powers-of-attorney (two kinds), trusts and the like to protect you and yours. He also discusses the steps you need to take to minimize tax liabilities, and what you need to include as part of your estate plan. You can listen to the show streaming on www.federalnewsradio.com or on 1500 AM in the D.C. area. Your Turn airs live at 10 a.m. EDT Wednesdays on 1500 AM in the Washinton D.C. metro area and streaming nationwide at federalnewsradio.com. Remember all our Your Turn shows are archived on our homepage so you can listen later, listen again or recommend them to a friend or coworker. See, you really are worth more than you thought. FERS & the federal pay raise: What's the latest? Earlier this year President Donald Trump proposed a zero pay raise for January 2019. In its place would be a yet-to-come system that would give agencies more flexibility and cash to reward outstanding workers with outstanding raise. FERS & CSRS: What's next? So, how often do you look at your Thrift Savings Plan account balance, and does it affect your investment decisions? Do the ups and downs of your TSP account keep you up at night? Are you financially nervous in the civil service, or do you think you have the wrong mix of funds in your retirement nest egg? If so, financial planner Arthur Stein has the answers to your retirement questions. Stein will discuss these and other TSP investing topics on the Your Turn radio show Wednesday at 10 a.m. Questions for him or Mike Causey can be sent before the show to mcausey@federalnewsradio.com Listen at www.federalnewsradio.com or 1500 AM in the Washington, D.C. area. Long ago a financial planner told me the key to success was to have a steady job, invest in any company 401K plan that is offered, get and stay married to the same person, buy a house in an up-and-coming neighborhood, live within your means and wait. Tens of thousands of federal/postal workers and retirees fit the profile, except maybe for the one spouse rule. Even so, the fact is that a lot of people fit the profile of somebody who has done very well financially, especially if they have been with one employer for 20 or 30 years, and if that employer offers a 401K plan, a generous company match and a retirement plan. Maybe they fit it better than they realize. Estate attorney Thomas O’Rourke said the key tools in most estate plans include wills, powers of attorney, medical directives, and trusts. O’Rourke was the guest on this week’s episode of the Your Turn radio show and he talked about things you should be doing to plan for retirement, and how often you should review your plan. Tune in to the show Wednesdays at 10 a.m. at www.federalnewsradio.com or 1500 AM in the D.C. metro area. When financial times get tough and a bull market rears its ugly head, many Thrift Savings Plan investors head for the safety of the bond index F Fund or, more likely, the super-safe never has a bad day G Fund. To many people, the U.S. Treasury-backed securities are the safest haven in an uncertain market. During the Great Recession many TSP investors pulled out of the stock market (C, S and I funds) into the G Fund. Although the market bottomed out March 9, 2009, and rebounded with a vengeance, many investors never returned. Certified financial planner Art Stein said there is safety and then there is “safety,” the latter actually used by people to mean a lack of volatility. Stein was the guest on this week’s episode of the Your Turn radio show and he discussed the price that investors pay for safety. Tune in to the show Wednesdays at 10 a.m. at www.federalnewsradio.com or 1500 AM in the D.C. metro area. The Trump administration has submitted a legislative package that would, among other things, eliminate cost-of-living adjustments for current and future workers retiring under the Federal Employees Retirement System. Under the White House plan, the employee contribution to the FERS program would also rise one percent each year, over each of the next six years. It also proposes eliminating the FERS supplement which is a payment workers now get if they retire before age 62, when they are eligible for Social Security. So what are the odds any of the proposed changes will happen this year? John Hatton, deputy director for Advocacy of the National Association of Active and Retired Federal Employees outlines the proposals and talks about their chances on this week’s Your Turn radio show. Listen live at 10 a.m. EDT Wednesdays on www.federalnewsradio.com or at 1500 AM in the D.C. area. In the news business the best way to bury a story is to release or leak it on the Friday before a major national holiday. Such was the case this Memorial Day weekend when three executive orders designed to whip the bureaucracy in shape were issued Friday afternoon via a telephone conference call with reporters. The three EOs fulfill — at least on paper — President Donald Trump’s campaign pledge to drain the D.C. swamp and to snip the red tape that makes it next to impossible to prod nonperforming bureaucrats either to action or the unemployment line. AFGE President J. David Cox joins host Mike Causey on this week’s show to talk about the executive orders and their potential impact. Your Turn is a radio show (Wednesday's at 10 a.m. EST) streaming on Federal News Radio or at 1500 AM in the D.C. area. The TSP: Are the law of averages on your side? When it comes to the federal Thrift Savings Plan, the average annual returns don’t tell you everything because TSP stock funds do not have many “average” years. “The typical ways to view TSP returns is to look at the total return over a certain time period — annually, quarterly, year to date — or over a number of years,” according to financial planner Arthur Stein. He says patterns are easier to spot when returns are ranked by size. Your Turn is a radio show (Wednesday's at 10 a.m. EST) streaming on Federal News Radio or at 1500 AM in the D.C. area. This week the White House revived old proposals to make feds pay more for, and get less from, their retirement package. The Trump administration submitted a proposal to Congress that, if approved, would: eliminate the gap payment, require current FERS employees to contribute an additional one percent a year and eliminate the cost of living adjustments (COLAs) for current and future FERS retirees. National Active and Retired Federal Employees President Richard Thissen and Federal News Radio reporter Nicole Ogrysko discuss on Your Turn with Mike Causey. They'll explain the proposed changes, their cost to you and the odds of any, or all of them, becoming law this year — and what, if anything, you can do about it. The show airs at 10 a.m. EDT at www.federalnewsradio.com or 1500 AM in the metro Washington area. When people close in on their retirement date many become anxious about life after a steady, bi-weekly paycheck. The old Civil Service Retirement System provided a much more generous pension/annuity than the Federal Employees Retirement System, which covers most working feds. So what to do? We ask John Grobe, a former fed, and benefits specialist, to crunch some numbers — the numbers you need to know before you retire. He discusses the “Rule of 7 Rules” to protect your retirement nest egg on this episode of Your Turn, a radio show (Wednesday's at 10 a.m. EST) streaming on Federal News Radio or at 1500 AM in the D.C. area. Is it true, as many believe, that when it comes to working away from the office, younger workers embrace it while older employees view teleworking with suspicion? Also, where is the dividing line between younger and older. Is it 40 years old, 50 years old, or what? A lot of questions about teleworking but few good — as in provable — answers persist. Which is where, maybe, you and the gang at the office come in, we hope. Federal News Radio is finding out what workers think about teleworking. Does it increase productivity, cut down on pollution and traffic jams as advertised, and is there a downside to teleworking? Does it hurt communication and collaboration? And what about the bottom line: What impact does it have on the customers? The TSP: Is 2018 going to be a down year? Many say the thin red line between partisan politicians of both parties and the career civil service is the 9,100 members of the career Senior Executive Service. The SES came out of the Carter administration’s effort to revamp the civil service and make top executives more mobile — and responsive — to their political bosses. Some SES members belong to the Senior Executives Association which generally works closely with federal professional groups, unions and retiree organizations such as the National Active Retired and Federal Employees Association to protect federal benefits which have been under attack for more than a decade. That includes everything from pay freezes under Presidents Barack Obama and Donald Trump, to major cuts in the Federal Employee Retirement System. SEA president Bill Valdez is my guest on this episode of Your Turn, a radio show (Wednesday's at 10 a.m. EST) streaming on Federal News Radio or at 1500 AM in the D.C. area. Does telework need to be restricted, or improved? We take a look at teleworking on this episode of Your Turn radio show. My guest is Frank Landefeld from MorganFranklin. He’s an expert in business development and engagement in federal, state and local governments. Rather than restricting telework, he says, “the federal government needs to make it easier to incorporate flexibility” rather than shrink or restrict it as the Agriculture Department plans to do. Landefeld says the pros of a well-managed, flexible teleworking plan are obvious. “It keeps workers off the roads during the terrible D.C. commute (which applies to other major federal centers) and can reduce the real-estate footprint of the federal government, ultimately saving tax dollars,” he said. He also believes agencies should develop A and B schedules for telework policies that would increase productivity and decrease the need for office space. Your Turn airs live at 10 a.m. EDT at www.federalnewsradio.com or on 1500 AM in the D.C. area. What are the odds of another shutdown either because of man-made political gridlock or because a late March snowstorm ordered up by Mother Nature? Now that Secretary of State Rex Tillerson has been ousted who’s next? And what’s happening to career employees at the State Department, EPA, Interior and other places who may be deemed as disloyal, or non-team players by their political bosses? What’s going on at the Department of Veterans Affairs? Is it in trouble and can it be saved? Federal News Radio correspondents Nicole Ogrysko, Jory Heckman, Eric White and David Thornton talk about the hottest topics on their beats and what may be ahead for active and retired feds. Your Turn airs live at 10 a.m. EDT at www.federalnewsradio.com or on 1500 AM in the D.C. area. The bull market: How long can it last? One of the longest-running bull markets in history is celebrating its ninth birthday this month. So how long can it go? Weeks? Months? Years? And when it does correct — how low will it go? We asked Arthur Stein, a Washington-area financial planner who tracks the Thrift Savings Plan. He’s our guest on this episode of Your Turn, a radio show (Wednesday's at 10 a.m. EST) streaming on Federal News Radio or at 1500 AM in the D.C. area. For many years experts have predicted that the government was facing an immediate brain drain. A "retirement tsunami" that would leave Uncle Sam without institutional memory and operating without the help of long-time experts and specialists. But the tsunami hasn’t happened. Federal News Radio has been tracking the outflow of government workers on a monthly basis. And the numbers are interesting and surprising to lots of tsunami predictors. Following the November 2016 election and the Inauguration — both of which were supposed to trigger a mass exodus of feds — the number of retiring feds actually dropped most months compared to previous years. It was less, not more, than in the past even though 31 percent of the workforce could leave today and 45 percent of the federal workforce will never see age 50 again. While more feds filed for retirement in 2017 than in 2016, the larger retirement surges —100,000 plus per year — took place in 2011 through 2014 when the government was undergoing shutdowns, furloughs without pay and three years without the regular statutory January pay raise. Those numbers clearly mean something. The question is what? Federal News Radio reporter Nicole Ogrysko has been tracking the tsunami. She’s our guest on this episode of Your Turn with Mike Causey. Your Turn airs Wednesday’s 10 a.m. ET at Federal News Radio or WFED 1500 AM. Congress & your pension plan: Should you be worried? In addition to a proposed pay raise freeze in January 2019, the White House and Congress are recommending that Congress do away with cost-of-living adjustments for both current and future retirees under the FERS program, which covers most feds still working. They also want to, among other things, reduce the rate of return on the Thrift Savings Plan’s Government Securities Investment (G) fund, and base federal pensions for new retirees on the average of the highest five years of salary instead of the highest three. So what do these proposals mean? What are the odds that any (or all) of them will be enacted into law this year? Or at some point in your career? Jessica Klement, staff vice president, advocacy; and Jill Talley, deputy director, public relations, from the National Active and Retired Federal Employees Association discuss. So what do these proposals mean? What are the odds that any (or all) of them will be enacted into law this year? Or at some point during your career? We’ll find out when we talk with Jessica Klement, staff vice president, advocacy; and Jill Talley, deputy director, public relations, from the National Active and Retired Federal Employees Association on this episode of Your Turn with Mike Causey. Your Turn airs Wednesday’s 10 a.m. ET at Federal News Radio or WFED 1500 AM. Did the recent stock market nosedive send you moving money from the stock indexed C and S funds into the G fund for safety? If so, was that a smart move? And what’s next? Are you waiting, as in sweating, a much bigger correction that many experts say is long overdue? We asked Arthur Stein, a Washington-area financial planner who tracks the Thrift Savings Plan what he thinks is going on. Did the recent stock market nosedive send you moving money from the stock indexed C and S funds into the G fund for safety? If so, was that a smart move? And what’s next? Are you waiting, as in sweating, a much bigger correction that many experts say is long overdue? We asked Arthur Stein, a Washington-area financial planner who tracks the Thrift Savings Plan what he thinks is going on. He’s our guest on this episode of Your Turn, a radio show (Wednesday's at 10 a.m. EST) streaming on Federal News Radio or at 1500 AM in the D.C. area. The 2017 Tax Act: How does it affect you? This week on Your Turn from Federal News Radio, Washington area estate tax attorney Thomas O’Rourke joins host Mike Causey to discuss the 2017 Tax Act and how it affects your tax and estate plan. Topics include: Do I need an estate plan in view of the changes in the estate tax law? If I do need an estate plan, what should be included as part of this estate plan? Wills, trusts, powers of attorney? Does it still make sense to contribute to the TSP? You can listen live at www.federalnewsradio.com or at 1500 AM in the D.C. area. If you have questions for Thomas O’Rourke, send them to me before showtime at: mcausey@federalnewsradio.com. Big changes are coming to the Thrift Saving Plan. Kim Weaver, director of External Affairs for the TSP, joins host Mike Causey on this week's Your Turn to talk about the changes, which include making it easier for participants to make withdrawals from their accounts. We have a triple-header on this Your Turn radio show. Reporters Jory Heckman and Nicole Ogrysko will talk about plans to decentralize federal operations based in the D.C. area and the outlook for feds in 2018. Morning Drive anchor Tom Temin will give us his take on President Donald Trumps State-of-the-Union address. The 2018 shutdown: Whats next? Now that things are back to normalfor three weekspro-fed politicians are explaining why they voted to continue this weeks government shutdown even though they profess to hate them. Democrats and Republicans are each claiming victory which seems to be the point of most shutdowns. Meantime people in federal centers around the country are watching the calendar to see if we are going to go through this again. Maybe for a more extended period. Or if maybe, just maybe, career politicians have learned that shutting it downwhile they continue to get paidis not the way to run a government. What next? So what happened this time? And whats likely to happen when Congress revisits the shutdown threat in February? Today on Your Turn, Greg Stanford, director of Government Affairs at the Federal Managers Association will talk about what led to the shutdown and the quick resolution and whats likely to happen in three weeks. You can listen live at 10 a.m. EST at www.federalnewsradio.com or on 1500 AM in the D.C. area. This week on Your Turn, certified financial planner Arthur Stein joins host Mike Causey to talk about the Thrift Savings Plan and how to grow your retirement nest egg. He said returns were excellent for all the TSP stock funds last year, but the not-so-good news is that stock markets are overdue for major and even minor stock declines. Jessica Klement, staff vice president for advocacy at the National Active and Retired Federal Employees Association, talks about the save-the-benefits effort and what you can do about it. She also gives us background on what was threatened but didn't happen last year and talks about why 2018 may be different. And not as forgiving. Whats ahead for feds in 2018? This week on Your Turn, Federal News Radio reporters Nicole Ogrysko and Jory Heckman join host Mike Causey to discuss what happened in 2017, what didn't happen but could have, and why. Also what might (as in M-I-G-H-T) be ahead for federal workers, postal employees, retirees, spouses and federal contractors in 2018. This week on Your Turn, Federal News Radio reporters Nicole Ogrysko, Scott Maucione and Meredith Somers join host Mike Causey to discuss the top federal news stories in 2017 and what is (maybe) going to be on tap for 2018. The new, improved TSP: What does it mean for you? When they leave or retire from the government, just over half of Thrift Savings Plan participants move most or all of their TSP balances someplace else. This despite the fact that the TSP has some of the lowest administrative fees in the business and is subject to oversight by the Treasury, the Labor Department and many if not most members of Congress and their staffs belong to the TSP and have keen interest in seeing it does well. But now that Congress has authorized a modernization of the TSP, many suspect that it will be more attractive to feds when they leave or retire and that they will stick with it. Financial planner Arthur Stein will explain why when he joins host Mike Causey on this weeks Your Turn. He will also talk about how the changes implemented under the TSP Modernization Act will affect you. Medicare Part B: Do you need it? Nearly half the questions health insurance hunters have involve or revolve around Medicare Part B. As in, do I need it? Can I afford it? What, if any, are the alternatives to Medicare Part B? What happens to the premium if I delay taking it? And by the way, what is it? The short answer is that it depends. On your age, health, financial situation, etc. Is it time to change your health plan? Most feds will stay in the same health plan theyve been in for years. Maybe even decades. Walton Francis, editor of Consumers Checkbook Guide to Health Plans for Federal Employees, says thats a mistake. Francis says all of the plans are good, but some may be wrong for you. Or too expensive for what they cover. Francis will be the guest today at 10 a.m. ET on Your Turn. Hell be answering questions sent in by listeners over the last two weeks. If you have one, fire it off to host Mike Causey (before showtime) at: mcausey@federalnewsradio.com. Listen at 10 a.m. ET on Federalnewsradio.com or at 1500 AM in the D.C. area. The show will also be archived on our home page so you can listen later. Switching partners? How about switching health plans? Every year Uncle Sam holds an open season, when federal workers, retirees and their survivors can update, enroll in or change their benefits package. Estate planning: Where do you start? Your federal retirement could last decades so it pays to plan ahead. As in having a plan. Doing the right/smart thing now means a payoff for you, for your spouse/significant other and your children. And peace of mind. The way you get your financial ducks in a row can be a major gift emotionally as well as financially for those who may wind up taking care of you. So do you have an estate plan? Does it include beneficiary designations and property ownership arrangements? Do you know the difference between a will and a trust? And which is best for you? Tom O'Rourke is a Washington area attorney who specializes in estate planning. Many of his clients are active and retired federal workers. He says that many feds are worth a lot more than they think. Are changes coming to your retirement plan? Are there people in your office who love their jobs and dread retirement but who are putting in their papers effective at the end of this month? Why are so many federal workers suddenly very nervous in the civil service? Some, maybe many, feds are convinced that Congress is going to make big-time, devastating-to-feds, changes in the retirement plan. There are a half dozen plans that if approved by the House and Senate would deal a major body blow to some or all of the retirement program. Are you excited, dazzled and worried sometimes at the same time by the stock market boom? Are you concerned about what many experts say is a long-overdue market correction? Do you still have the occasional nightmare about the Great Recession? If so, welcome to the club. Obviously, nobody knows when, if and for how long, any correction might be. But we asked financial planner Arthur Stein for his take. Buyouts: What, if anything is likely to happen? Are you one of hundreds of thousands of federal workers who could retire tomorrow if you wanted to? What if Uncle Sam made you a once-in-a-lifetime cash offer you couldnt refuse. And what if that payment, now $25,000, was bumped up by $15,000? Does the possibility of a $40,000 buyout however remote tempt you to hang on to see what happens? The good news is that the Senate may (as in MAY, MAYBE, MIGHT) consider and pass legislation that would raise the maximum for all government buyouts to $40,000. Currently, only Defense can offer feds that much money to take regular or early retirement. Other agencies are limited to $25,000 which, after all those deductions, doesn't have the buying power it did in the 1990s. Is there a buyout in your future? Although buyouts are out there, the odds that you personally will get a $25,000 to $40,000 payment to leave are slim and none. You can wait, and hope, and maybe, just maybe get lucky. But the deck is stacked against you. Are retirement changes coming in 2017/18? Congress is back! What does that mean for you? Is there a buyout (or a layoff) in your future? The biggest gains federal worker and retiree investors have made in their Thrift Savings Plan accounts have come from the stock-indexed C, S and I funds. But whats an index and whats an index fund. And why do you need them in your portfolio? Check out the Your Turn with Mike Causey program featuring financial planner Arthur Stein. What does the future hold for your TSP? This week on Your Turn, financial planner Arthur Stein tells feds and retirees what, if anything, they should be doing now with their Thrift Savings Plan accounts. How things are going for the SES and SEA. Should you stick with TSP after you retire? Why do so many federal employees move out of TSP when they retire from the government? What should you do? Do you have a plan B for your TSP? Have you protected your TSP from the next stock market crash? Financial planner Arthur Stein will explain what you should be doing now to protect your financial assets when he joins host Mike Causey on this weeks Your Turn. Do you know whats in your federal benefits package? If not you should. Federal benefits expert Tammy Flanagan will explain why when she joins host Mike Causey on this weeks Your Turn.